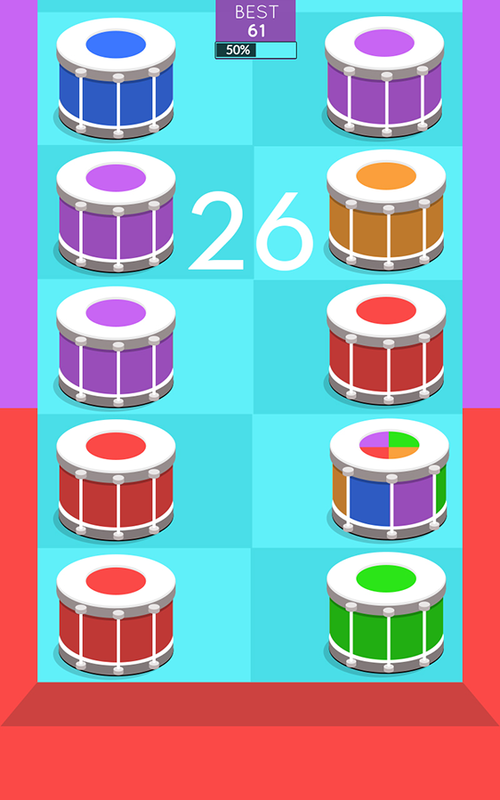 Test the speed of your fingers and tap your way through beat after beat with the colourful drumheads. The Mascoteers’ latest game “Drumheads” is a blessing for the lovers of beats and pace. The gameplay is pretty simple. The background colour will constantly change, and so will the colour of the drum heads. 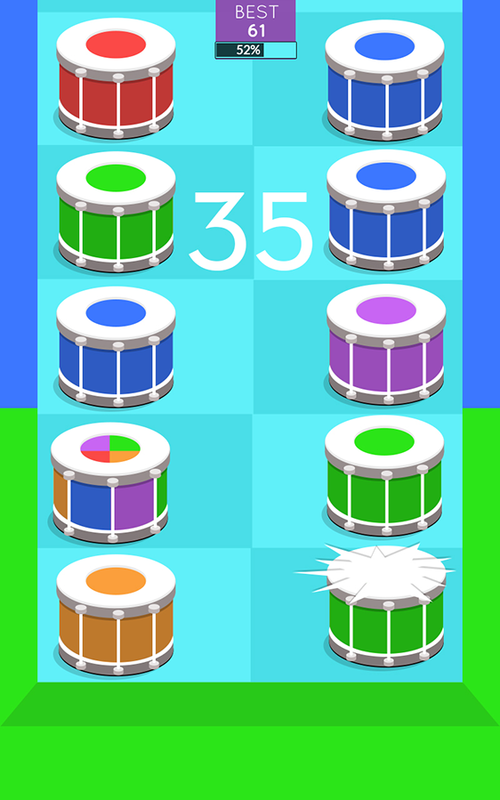 As the background colour changes, you have to tap the drums of same colour as they move downwards. If you miss a single drum head, the game is over for you. 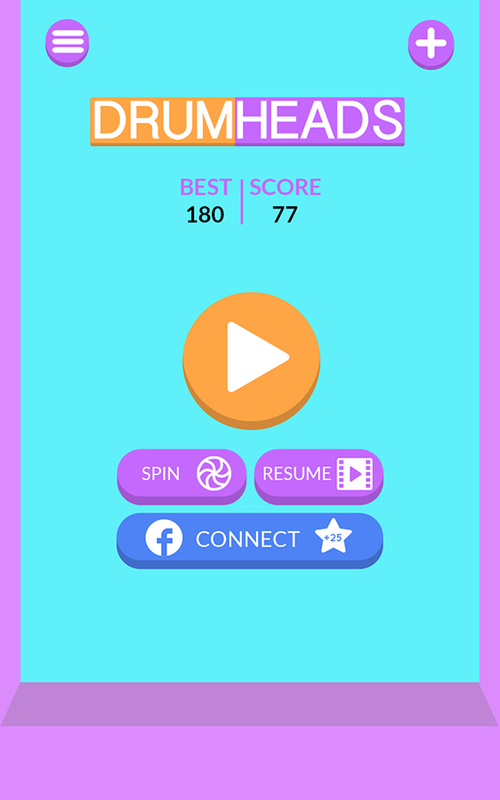 Drumheads is an addictive game that will challenge you with your reflex and concentration skill. 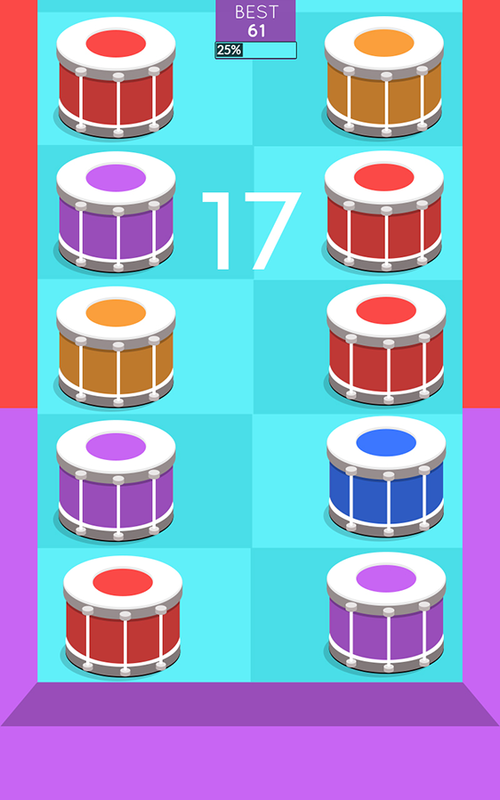 Drumheads is the game for cool fast paced minded people who are ready to take the challenge of beats and colours! Mascoteers team has always been big fans of Drums and Beats. 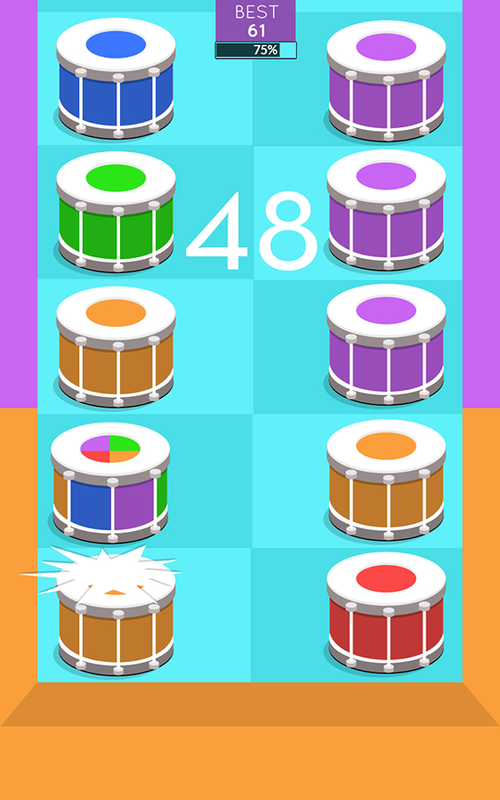 As the team has released many games with balls, circles and traversing platforms, this time they took the next big step and planned to make a game based on Drumheads. The idea for Drumheads came when one of their designers was jamming at his table with his hands and matching his beat with the random colour that was appearing in his monitor. A random idea and their love for hard-core beats are the main reasons behind this cool latest release of the team. Soothing graphics, and catchy sound effects! The Mascoteers allows for the contents of Drumheads to be published through video broadcasting services for any commercial or non-commercial purposes. Monetization of videos created containing assets from Drumheads is legally and explicitly allowed by The Mascoteers.